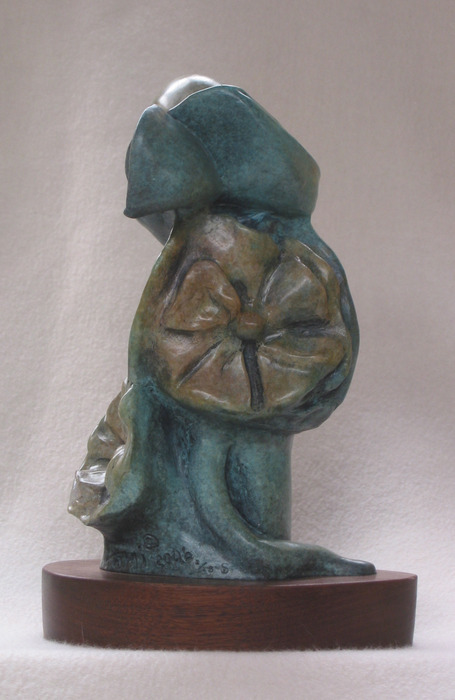 Sculpture is the predominant base of my art . I have training in Forensic Facial Reconstruction and tend to split my art into two areas. One reflects the reality of human existence with appropriate emotions . The second is an abstract world of movement and thought. Both, however, are founded in the human form. AAWA, Wickenburg, AZ (juried); Albuquerque, NM; Sierra Arts International (juried), El Paso, TX; NLAPW, Washington, DC (juried); Mill Gallery, Santa Fe, NM (juried); Sunland Art Gallery, El Paso, TX; Bennington Center for the Arts, Bennington, VT (juried); NLAPW, Alexandria, VA (juried); Loveland Sculptural Invitational, Loveland, CO (juried); Corbett Center, NMSU, Las Cruces, NM: Fox Fine Arts, UTEP, El Paso, TX; Verde Canyon, AZ; Kermezaar, El Paso, TX; Galeria Azul, Mesilla, NM; Artforms, FLOAM, Las Cruces, NM. Numerous awards. 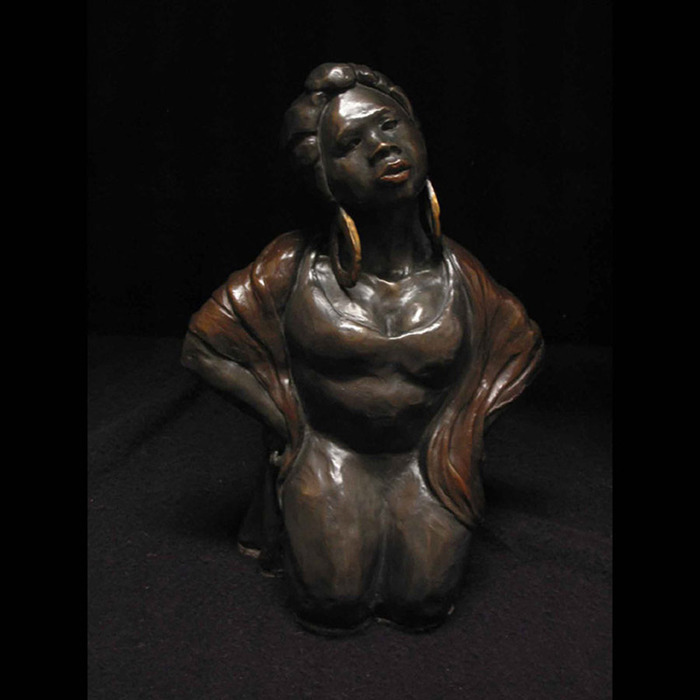 Commission Work: Bas Relief and Portrait Busts throughout the USA. 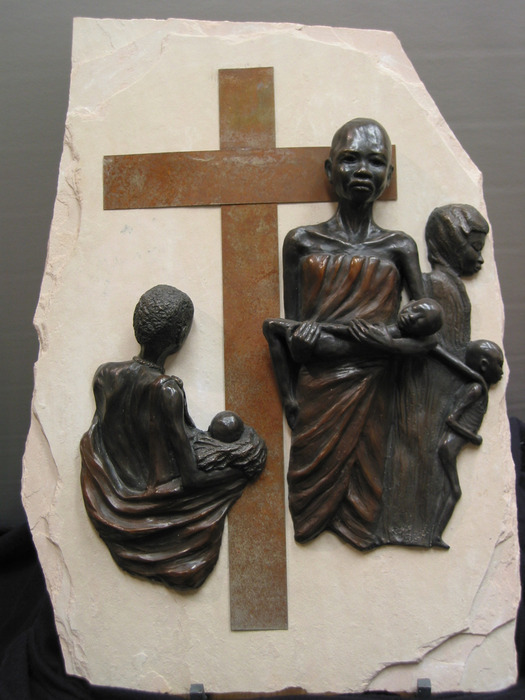 This three-piece bronze work portrays the plight of many Africans today. Faced with failure from the three prongs of society: personal, governmental, and religious, this is their "legacy." 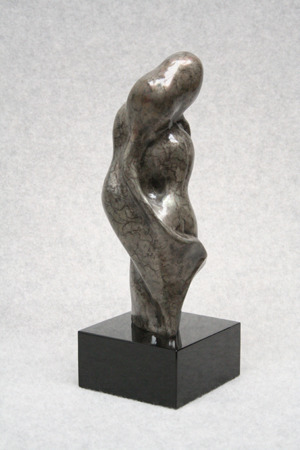 This socially intense work is mounted on sandstone and has mixed media inclusions. Limited edition: 30. Size 18"x28" . Cast at Shidoni Foundry, Tesuque (Santa Fe), New Mexico. NOTE: Heavy piece must be crated for shipment. 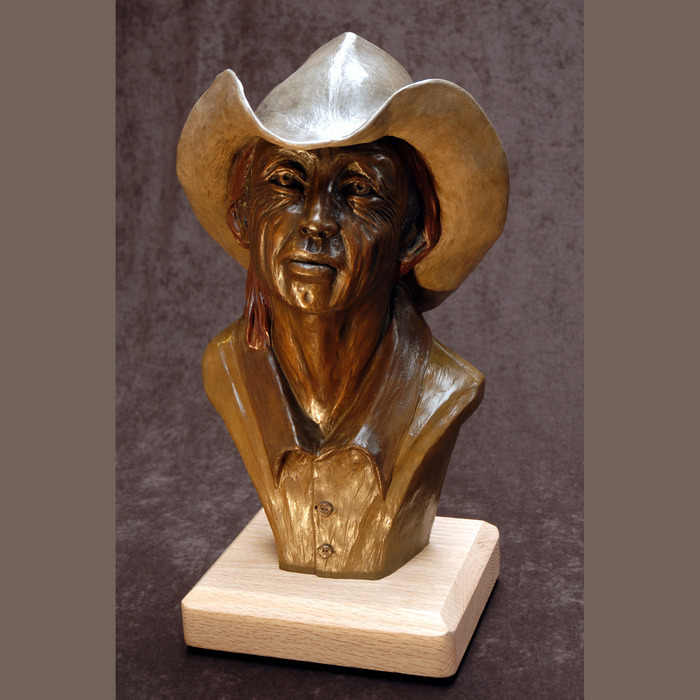 Portrait bronze of ranch hand /farm worker of the Southwest. Limited edition:25 Cast at Shidoni Foundry, Tesuque (Santa Fe), New Mexico. The base of the majority of my abstracts is the human form. 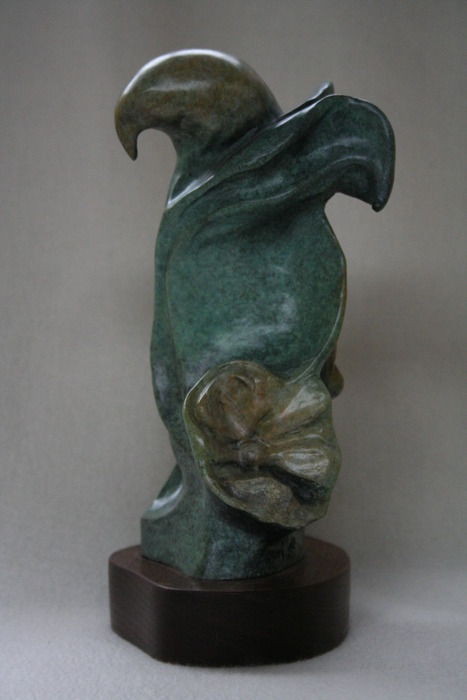 Bronze figure reminiscent of the Egyptian falcon. Limited Edition: 25. Cast at Shidoni Foundry, Tesuque (Santa Fe), New Mexico.